Market rumors are circulating that Hyundai Motor is looking to acquire the world’s seventh-largest auto manufacturer Fiat Chrysler Automobiles despite the automaker’s vehement denial. And a local analyst said Tuesday that Korea’s largest auto company would leap forward to become the world’s No. 1 if the deal goes through. 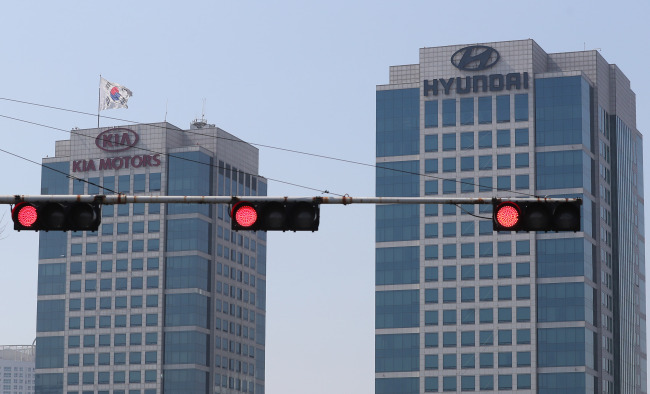 Lee Jae-il, an analyst in charge of automobiles at Eugene Investment & Securities, said in a report that Hyundai Motor would benefit from the acquisition due to an expanded portfolio and high consumer awareness of FCA brands in the US and Europe. The merger would bolster Hyundai’s position as the world’s leading automaker by sales based on the performance of the Korean auto company and the FCA, which sold a combined 11.5 million units last year, he said. “Hyundai is denying the merger, but the need to acquire a company is higher than ever due to the crisis in the Chinese and US markets. “The possibility of Chinese automaker Great Wall Motors acquiring Jeep has been suggested, and Hyundai Motor has also surfaced as a possible buyer,” he added. The FCA is a multinational automaker that sold 4.1 million units worldwide. It owns well-known auto brands such as Fiat, Chrysler, Jeep, Maserati and Alfa Romeo. The Italian-controlled automaker has reportedly sought mergers with US auto giant GM and German automaker Volkswagen. The two have officially declined to acquire FCA. Reports of a possible business deal between Hyundai and FCA surfaced last week according to various industry watchers, following a change in the stance of Chinese SUV maker Great Wall Motors regarding its bid for US-based Jeep, citing lingering uncertainty in the acquisition. FCA said it had not received any offer from Great Wall Motors. According to Lee’s estimates, the acquisition of FCA would cost 11.2 trillion won ($9.83 billion) including luxury automaker Maserati and high-tech parts unit Magneti Marelli, and 5.6 trillion won without the two auto-related brands. Hyundai’s lack of portfolio diversity has raised speculations, as the FCA owns SUV makers Jeep and Dodge, alongside pickup truck maker Ram.